Cameron, K. (2017). 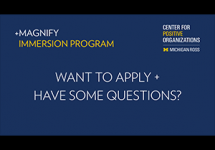 Cross-cultural research and positive organizational scholarship. Cross Cultural & Strategic Management, 24(1), 13-32. In view of the emphasis in cross-cultural research on negative factors such as cultural misfit, cultural distance, and the liability of foreignness, the purpose of this paper is to offer one explanation for why this is the case and highlight the advantages of giving at least equal emphasis to research on positive factors. Three propositions are offered to guide future cross-cultural research. Summaries of empirical studies on the inherent inclinations of human systems toward the negative, as well as inclinations toward the positive, produce explanations for each of these biases and their implications for cross-cultural scholarship. By prioritizing positive factors instead of negative factors, individuals and organizations perform at much higher levels than when the reverse is the case. Virtuous practices, in particular, are associated with positively deviant performance. Inasmuch as virtuousness is universally valued, its emphasis can address some of the liabilities of difference inherent in cross-cultural contexts. The three propositions offered in the paper explain why negative biases exist, how positive biases provide an advantage to individuals and organizations, and highlight future directions for cross-cultural research. Social scientists have been challenged to help enable 51 percent of the world’s population to flourish by mid-century, and prioritizing positive cross-cultural phenomena is one prescription for achieving that objective.